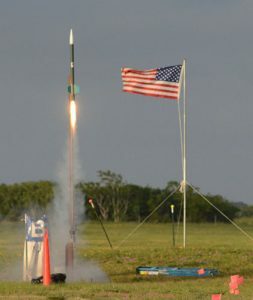 SystemsGo is an innovative high school rocketry/aeroscience curriculum that uses project-based learning to teach science, technology, engineering, and mathematics (STEM); to develop skills in teamwork, problem-solving, and leadership; and to encourage careers in the engineering industries. Students design and develop remotely operated vehicles and unmanned aerial vehicles for research or industrial applications. 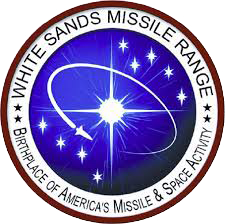 Advanced students develop sounding rockets capable of lofting scientific payloads to 100,000 feet for collaborative research with universities, ultimately launching their vehicles at White Sands Missile Range. The program has been featured on NBC Nightly News, and is certified by The Space Foundation. It is now used in high schools in Texas, New Mexico, and Oregon. Graduates work in leadership positions at NASA, SpaceX, Boeing, and other prestigious industries and schools across the country. For SystemsGo students, it really is rocket science! Launches are underway. Here are the direct Livestream links for the North Texas launches April 26-27. With our continued growth and program expansion, SystemsGo is in need of an Assistant Program Director, located at the Fredericksburg office. We need someone that is growth minded and passionate about our program and the impact it has on students! 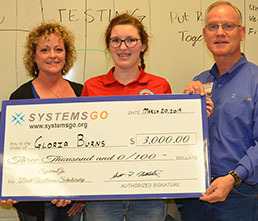 The Board of Directors of SystemsGo has announced Gloria Burns of Fredericksburg High School as the 2019 recipient of the SystemsGo Brett Williams Scholarship in the amount of $3000. The Sid W. Richardson Foundation has awarded a $100k grant to SystemsGo to procure a suite of launch equipment and cover first year launch support costs for SystemsGo’s new North Texas launch site, located near Jacksboro. If your school is in an area around Dallas, Fort Worth, Houston, Kingsville, or San Antonio, SystemsGo is offering a grant from The Boeing Company that will discount Teacher Training Fees and Annual Curriculum Licensing Fees for two years, beginning in Academic Year 2019-2020!